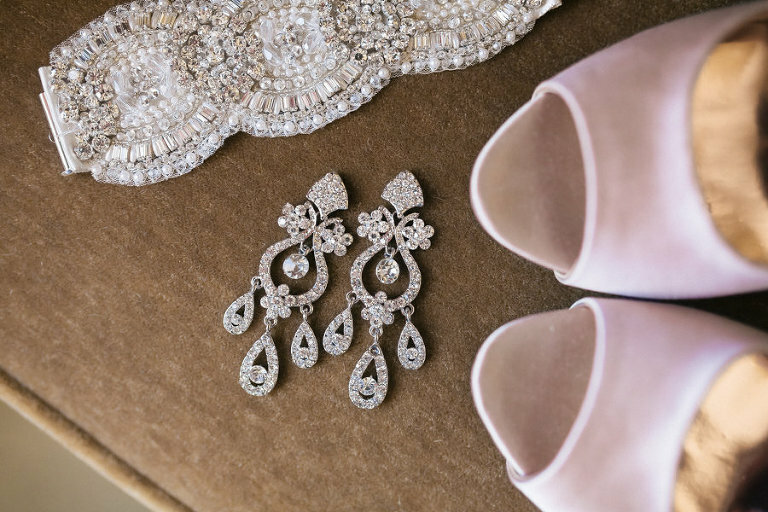 Cherice and James’ vintage, Tampa garden wedding showcased the bride’s soft, romantic side, while incorporating masculine elements for the groom. The couple are Tampa natives, and it was the bride’s dream to marry at Sacred Heart Catholic Church. The pair searched for a Tampa wedding photographer and videographer who could capture their personalities and excitement of the day. For months leading up to the actual proposal, James grilled me with random questions about the type of ring I wanted. He constantly told me it was not going to happen just yet, and that he could only afford a Ring Pop. He asked what my favorite flavor was and I just played along with his questioning. Then, on a Tuesday night in June, while I was in the kitchen cooking dinner and making cookies, he came home from his daily bike ride and greeted me with a hug and a kiss and said ‘I Love You.’ I wasn’t sure what was happening, and just said “I love you too.” Then, he pulled a Ring Pop out of his pocket and asked me to marry him. Completely caught off guard, and thinking the whole thing was a joke, I said ‘of course, can I wear the Ring Pop?’ He replied with, ‘I know it’s not the flavor you wanted, let me see if I have another one in my pocket.’ He pulled out my beautiful antique inspired ring with his grandmother’s diamond for the center stone and got down on one knee and asked me again. It took me a few minutes to realize he was being serious, and I even had to ask him if he was. It was a wonderful surprise! We wanted a photographer who could capture our personalities, as well as all the fun we anticipated having at the wedding with our friends and family. We didn’t want a ton of posed and stuffy pictures, but rather an album filled with candid shots that we could look back on years from now and remember exactly how we felt on our big day. I watched one of Rad Red Creative’s wedding videos and was instantly hooked! It reminded me of a Real World promo, and I loved it! It was different, and I could feel the love the couple shared and the fun they were having through the video. Brittany and Leo were amazing to work with, from our first meeting at Starbucks, to our engagement shoot, to the wedding. They are wonderful people, and we really connected with them. They made the sessions fun, especially for James, who was a little apprehensive of the engagement photo session. Our video is the most amazing piece of it all. We are so happy to have something wonderful to watch over and over again to remind us of all the fun we had on our wedding day. 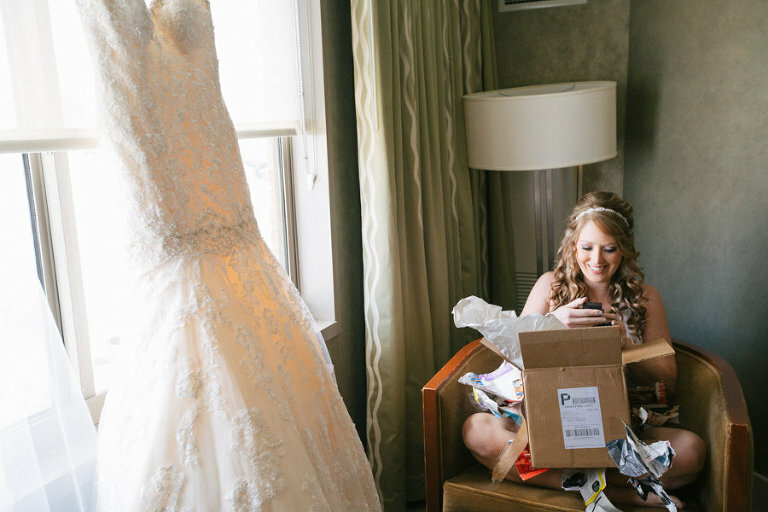 I wanted to be involved in the whole wedding planning process, however, I wanted the “day of” to be completely taken care of, so that my family could relax and enjoy every moment of the wedding day. I looked for a wedding planner who could handle the “day of” with ease and that could understand my vision for the day. I also wanted someone who could offer suggestions on any vendors I was struggling to choose on my own. I met with Blue Skies Events and really loved their creativity. They understood what I was hoping to accomplish and offered a partial planning package that included everything I needed. We also utilized Blue Skies’ decor services for the reception. 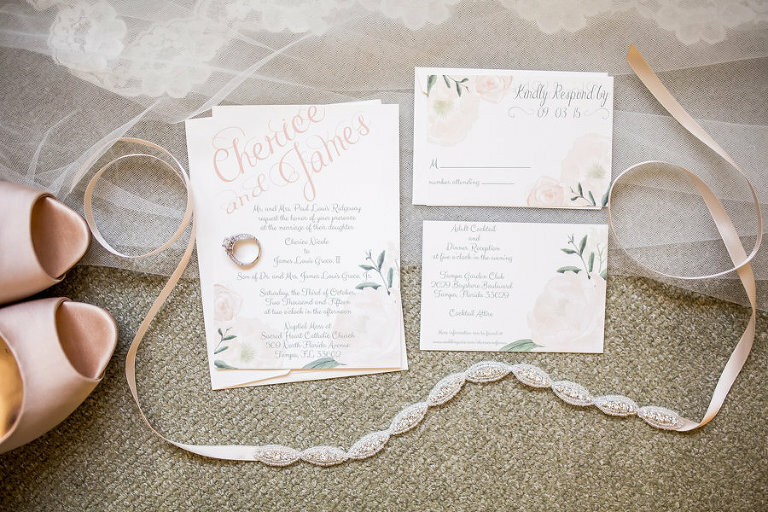 They created really neat twig bundles that were hung from the ceiling over our sweetheart table and the dance floor and worked with the florists and the lighting team to really pull together a romantic look and feel for our reception. Vintage, garden. I love all things antique and vintage, and my favorite color is green. James has a degree in forest resources and is an outdoor guy. We wanted to incorporate all of those things for a very earthy, but classy feel. The colors for the wedding were very natural and earthy. We had a lot of greens, ivory, browns and gold. We chose them to complement the various garden, vintage pieces that we wanted to incorporate. Ask friends and family about their experiences and the vendors they have used. 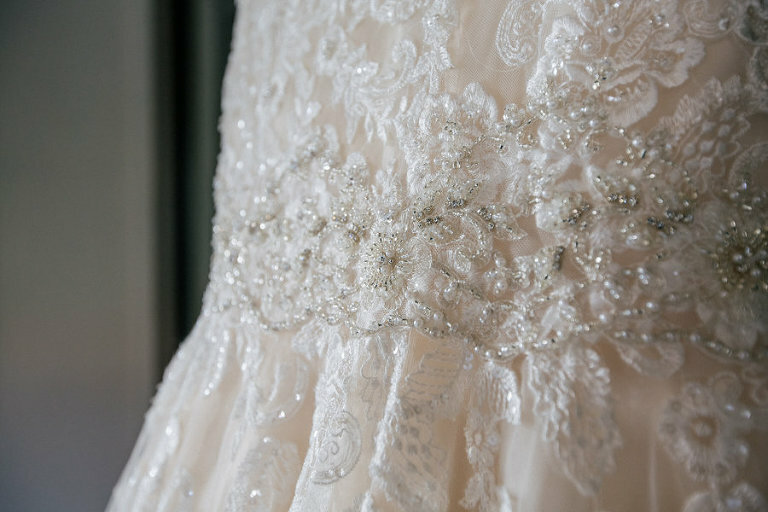 Go with your gut and make sure your wedding is a reflection of you and your significant other. Don’t get discouraged. Weddings are expensive, but you really can pull a lot together on your own with help from family and friends. Most of all, enjoy it! 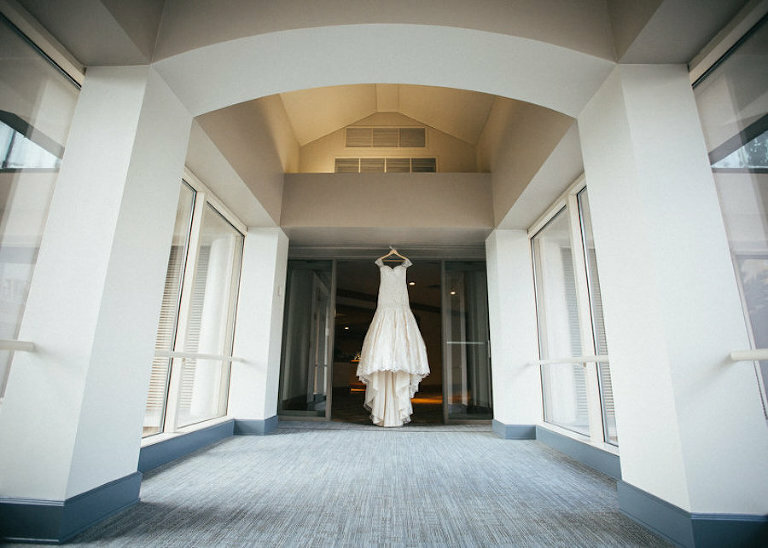 It goes by so quickly, so take it all in and enjoy every second of the planning process and your big day.